Have a question for El Nido Resort? El Nido Resort, located in Nam-myeon, Namhae-gun, is a popular choice for travelers. From here, guests can enjoy easy access to all that the lively city has to offer. Visitors to the hotel can take pleasure in touring the city's top attractions: Gacheon Daerangi Village, Imjinseong. At El Nido Resort, every effort is made to make guests feel comfortable. To do so, the hotel provides the best in services and amenities. Top features of the hotel include car park. Hotel accommodations have been carefully appointed to the highest degree of comfort and convenience. 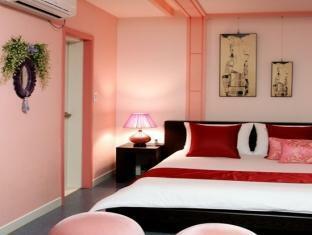 In some of the rooms, guests can find television LCD/plasma screen, air conditioning, desk, balcony/terrace, television. Besides, the hotel's host of recreational offerings ensures you have plenty to do during your stay. El Nido Resort is your one-stop destination for quality hotel accommodations in Namhae-gun. Clean, very pretty decoration. The view is excellent. Location is not convenient, however, it is a very comfortable resort. The resort couple are very nice. Breakfast is simple, but very tasty and healthy. I love it, I should stay one more day at there next time.